Raising a child is a big responsibility and challenge for every parent. Of course, all parents want the best for their kids. They will surely do anything to give everything for the sake of their child they would rather sacrifice and be hurt but never their kids. Nevertheless, disciplining a child is another story. Both parties should agree with the rules and conditions being implemented by the superior. Nowadays, children’s attitudes are so hard to understand. Children’s behavior vary from generation to generation, that’s why parents and children beliefs, opinions and views in life sometime do not meet. Some may be liberal while others are conservative. Parents should learn on how to easily adjust and adopt on their needs. 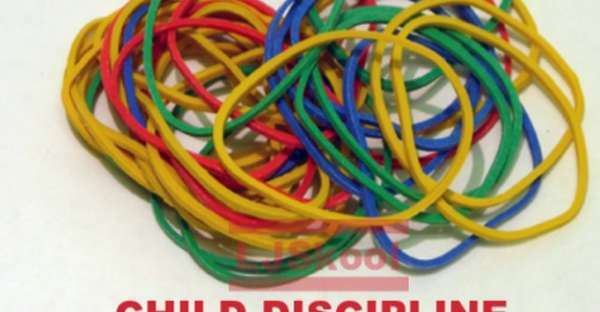 The Rubber Band Method is a system which can be very useful and helpful for parents to discipline their kids. By the way, what is the Rubber Band Method and how can it help parents to properly mold their children into becoming morally competent? Well, it’s a strategy wherein a parent will have three pieces of rubber bands on his right wrist and the goal is to transfer these rubber bands into his left wrist. The only way to transfer is that, for every good thing that is done by his kid, no matter how small it is as long as it’s a good thing, he can thus transfer the rubber band. The purpose of this method is for the parents to watch every action of their children and not to focus on their wrong deeds. Sometimes one of the reason why kids become rebellious is that they were repeatedly scolded and punished for every wrong thing they committed. They thought that their parents always look at their bad sides not considering other things they were done rightly. The love and care were missing which leads children to become disobedient. These are the essential keys; let them feel that you care for them. Do not focus on their mistakes, do not make them feel that you didn’t appreciate their goodness, don’t punish them, instead be a good guardian. Try to give rewards to your kids if you see them perform well. Watch them every minute. Appreciate their kindness. Express your love through your sweet words. Encourage them to become a better person. You will realize that three rubber bands are not enough in a day, you will be needing more rubber bands because your kid is so worthy all the time. Most of us will become parents too someday, and one important thing to bear in mind is that our children are our reflection. Teach them well, discipline accordingly.